Look, it’s getting silly. It is. It’s too much. There’s now a “National _______ Day” every damn day. And I swear there’s several days dedicated to both donuts and biking to work. (Come to think of it, those two should come in equal proportions.) March 7th is National Cereal Day. It’s one of the few National Days our family observes. The thing is, we've been doing it since the mid-1950s. According to NationalDayCalendar.com no one can “identify the creator of National Cereal Day.” Well, I would like to remedy that. When I was a kid my mother told me about a glorious day. It was a day to be anticipated and revered in the same light as Christmas or Easter. 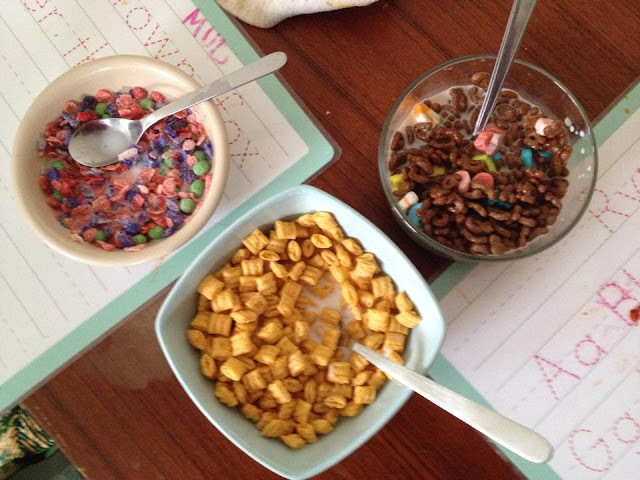 This was Cereal Day. It was 1982 and I was going to be introduced to a family tradition. You see, my grandmother wasn’t interested in feeding her family the sugary cereals that were coming to prominence during the Mad Men era. My mom and her siblings grew up on Cream of Wheat and Corn Flakes. But grandma wasn’t made of stone. She designated one day each year, March 5th*, as Cereal Day; a day when each member of the family could choose any cereal they wanted. My mom was tie-dyed in the wool socks hippie. I was raised in true Berkeley fashion on a diet of sprouts and whole grains. I choked down Mueslix with goat’s milk or granola and soymilk. 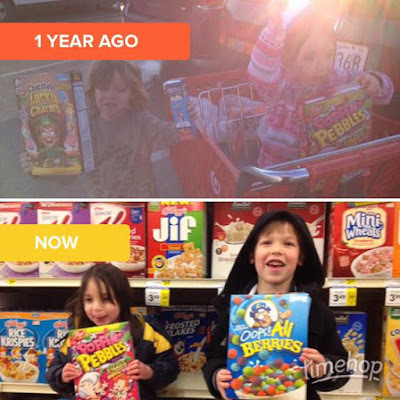 But my mom was a fool for tradition, so once each year on March 5th, I was allowed to choose any cereal I wanted. I went through phases. I drifted from Cocoa Krispies to Cap’n Crunch with brief forays into Lucky Charms and Froot Loops. As a young adult I continued to celebrate Cereal Day. Even though I was living on my own and could have had any cereal at any time, there was something special about maintaining the discipline and singular joy of waiting for that one time each year. 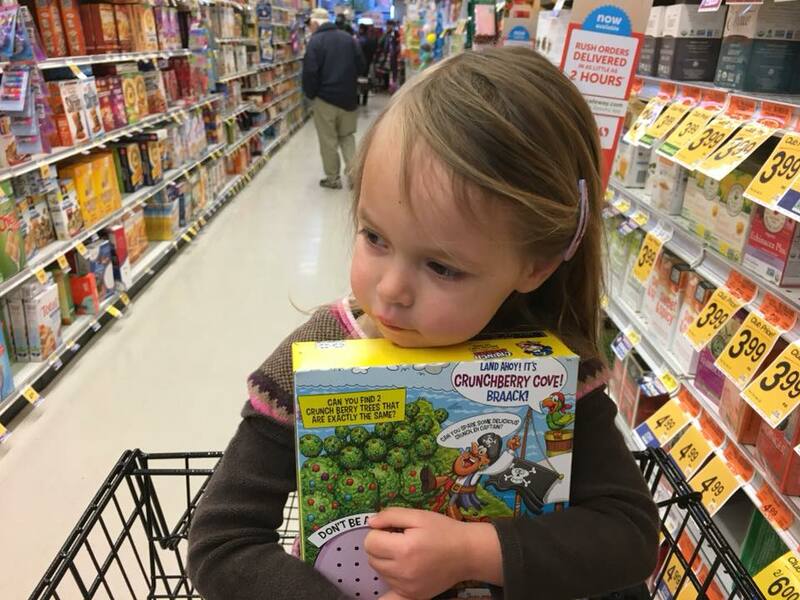 As a dad it was a no-brainer that Cereal Day would continue for my kids. Luckily, even though my wife evolved into being an even bigger hippie than my mom, she doesn’t totally hate fun. So Cereal Day lives! My kids look forward to Cereal Day like they look forward to Halloween. They revel in it. They talk about it and plan for it for weeks ahead of time. They have even started their own tradition, mixing all their cereals together into a chocolaty, fruity, marsh mellow morass that makes my teeth hurt as type. None of it would have been possible if not for my grandmother inventing cereal day. Long before the Internet, long before the proliferation of 365-special-interestdays-a-year, a single mother in Berkeley invented a holiday in order to control her children’s diets. I have no idea how the cereal industry got wind of the date, but I can’t entertain it as a coincidence. I'm sure they moved it by two days in order to avoid a controversy, but I'm on to them. My grandmother invented Cereal Day. Your welcome.